Sutherland, C.H.V., "Roman Imperial Coinage", Volume 6 (RIC), Antioch, p619, nr 54b. Sear, D.R., "Roman Coins and their Values" (Sear RCV Millennium Edition), Vol. 4, p162, nr. 13275. 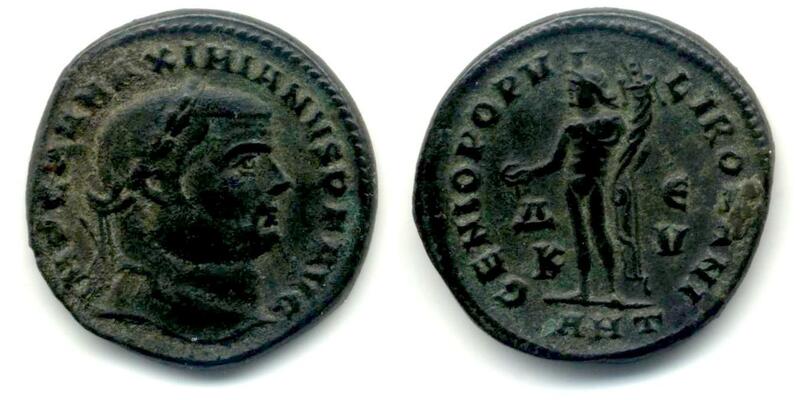 Suarez, R., "ERIC II - The Encyclopedia of Roman Imperial Coins" (ERIC II), p758, nr.643, (B28, O24, R72, T32, M2). Cohen, H, "Descriptions Historique des Monnaies frappees sous l'Empire Romain" (C), Volume 6, p511, nr. 184.